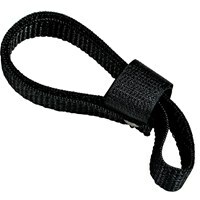 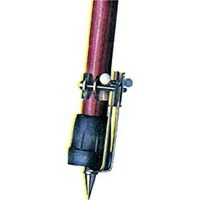 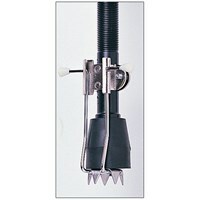 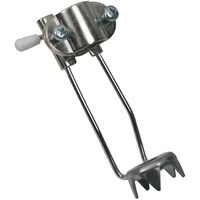 Spring-loaded clip attaches to 3/8-1 diameter cane shaft. 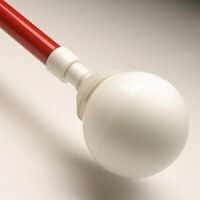 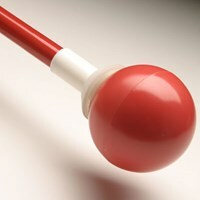 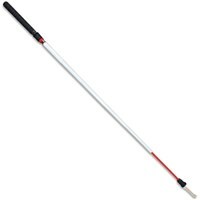 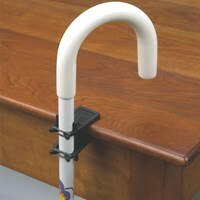 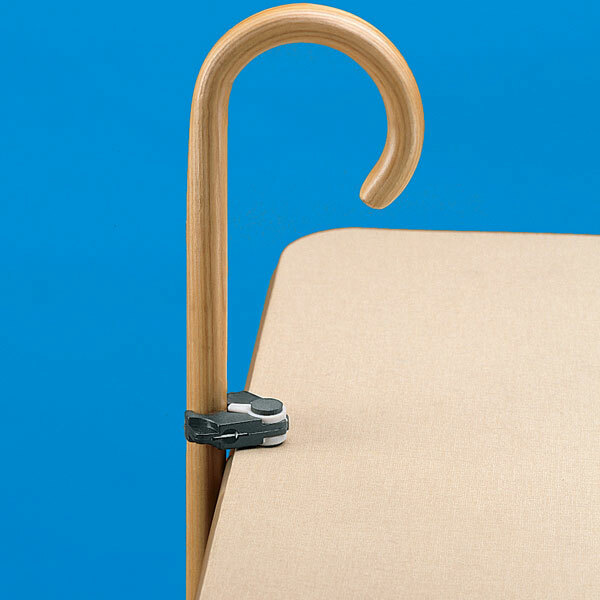 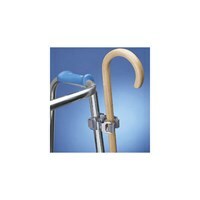 Allows cane to be supported on any table or desk. 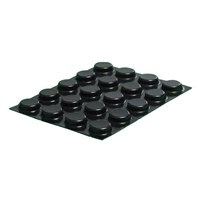 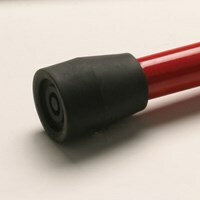 Foam disk on either side creates enough friction to hold cane in place. 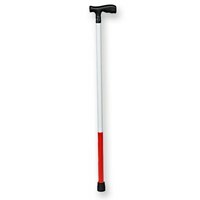 Made of molded hard plastic.